Finding tranquility in the South Island of New Zealand - FBI Travel - Holiday Tailored holidays - luxury travel - holiday packages - club med - cruises. At FBI Travel, we’ve worked hard to build comprehensive industry relationships around the globe that arm us with expertise, flexibility and control. Central Otago is home to exquisite sights and perspective-changing experiences. New Zealand is well-known for it cinematic views, from vibrant bush lands to snow-capped mountains and clear blue waters. Our smaller neighbour has a wealth of natural and ethereal sights, sounds and experiences for you to soak in. No matter the amount of time you have free - be it just the long weekend or enough to truly fall into island time - a trip to the South Island of New Zealand may be the key to breathing new life into your heart and soul. 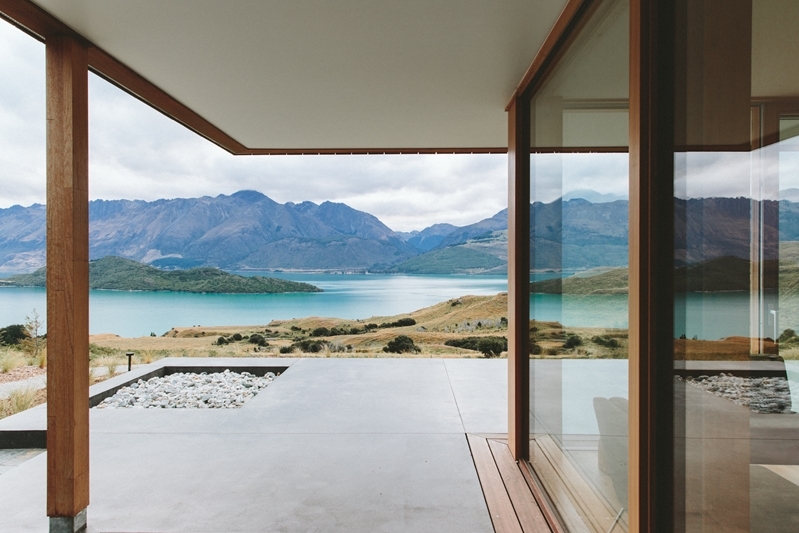 The Otago region is home to a bounty of retreats for relaxation, wellness or to gain a new perspective on the world. Independent professional travel advisor Debbie Grace recently took to the skies from Melbourne, alongside her husband, for a short flight to the resort town of Queenstown, before travelling an hour north to Lake Wanaka via Arrowtown. Just outside of Lake Wanaka, set upon a spectacular 10-acre estate, the Lime Tree Lodge welcomes guests to bask in the pinnacle of Central Otago's natural beauty. Debbie spent her first night in New Zealand at this luxury boutique-style venue, enjoying the uninterrupted mountain scenery and clean air. There's an abundance of things to do even with only a short stay at the lodge. Being in Central Otago, prized New Zealand vineyards are only a short drive away. The on-site helipad means that for more active guests, heli-skiing and sightseeing tours to glaciers and surrounds can begin right outside your door. A swimming pool and hot spa are also available for anyone to unwind after a day of exercise. The Lime Tree hosts' hospitality received special praise from Debbie, who loved the complimentary canapes and aperitifs offered in the lounge during the evening - not only were they delicious but the substantial portions meant dinner was sorted. The hosts, John and Pauline, personally accompanied the guests and shared stories of the local area, creating an intimacy many struggle to achieve. Come morning, Debbie was off along the Rob Roy track to witness one of New Zealand's most famous glaciers. The journey was a comfortable hike of about three and a half hours and paid off even more than expected at the viewing point. As Debbie and her husband arrived, a thunderous clap echoed throughout the valley and just beyond the lip of the glacier, snow broke loose and blew out into the valley. Being witness to a small avalanche was a truly unique, privileged experience! Returning to Queenstown later that day, Debbie and her husband checked into their Lake View Suite at Eichardt's, a private lakefront hotel. Dating back to the 1800s, Eichardt's is a hotel rife with historical significance, reflected in its period architecture. As a luxury venue on the waterfront of one of New Zealand's most popular tourist destinations, the hotel offers an elegance that time cannot erode. As the name suggests, the Lake View suite looks out onto the clear but chilly waters of Lake Wakatipu, the centre piece of Queenstown. Debbie speaks fondly of the service provided to guests by hotelier James Cavanagh in his exquisite attention to detail. From the design to the amenities and services, Eichardt's had her feeling like a valued guest. The House Bar, an icon of the tourist town, is open to the public from 7:30 a.m. until midnight, allowing anyone to enjoy the expertly crafted cocktails of its world-class bartenders. After luxuriating in the opulence of Eichardt's, Debbie once more took to the sky - this time with help from Milford Flights and Mitre Peak Cruises. Debbie departed from Queenstown, soaring just above the rugged backcountry of Central Otago. 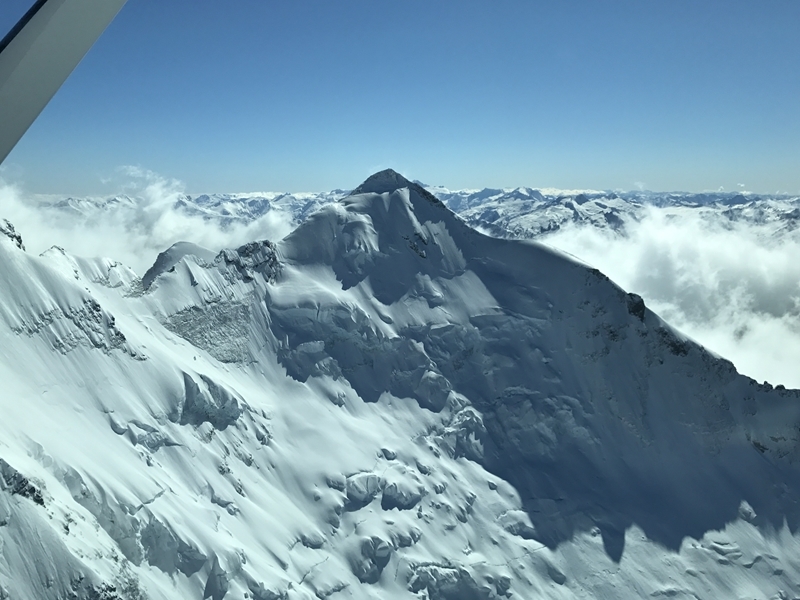 Looking over Mount Aspiring and Fiordland national parks and flying at only 7,500 feet, Debbie says she felt unbelievably close to the peaks of countless mountains - almost as though she could reach out and touch them. "There was so much beautiful geography to see," says Debbie. Arriving at the Milford Sound Airport, Debbie then boarded a small boat for a cruise along the sound. The Mitre Peak cruise boat was just the right size to still feel like a personalised experience - so much more than just a cruise boat full of tourists. The tour then flew her back to Queenstown, a flight that was equally spectacular. She made sure to enjoy and make the most of the exquisite local produce and world-famous Central Otago wines in Queenstown before heading off. The final stop on Debbie's journey around Central Otago was an all-inclusive wellness experience called Aro Ha, approximately 45 minutes drive south of Queenstown close to Glenorchy, where she stayed for five nights. Aro Ha is the project of Chris Madison and Damian Chaparro, which functions as a transition space for connecting with both nature and ones self. The retreat focuses on a resilient lifestyle, making use of sustainable energy and self-grown produce where possible. Aro Ha is retreat for wellness that goes deeper than fitness. The luxury of Aro Ha comes from not only its high quality furnishings and design, but the assisted and customisable program which works towards an ultimate sense of zen. A typical morning during the program starts with a 6:30 a.m. wake-up call, and at 7 a.m. the first yoga session commences. Taking place in a room with huge windows looking out across the lake, the vinyasa flow-based yoga helped to bring in the day with a serene mind. The yoga room provides the perfect setting for a peaceful morning. Following morning yoga, Debbie and her fellow guests took off for a guided hike around the Central Otago countryside. Mindful fitness is a key aspect of anyone's time at Aro Ha. The hikes take visitors through the many incredible tracks in the area - providing benefits to both physical and emotional health as well as incredible views. Returning from the walk, guests are treated to lunch from the retreat's gourmet plant-based kitchen. To better embrace nature and positive eating, guests eat 140 different species of plants in their time at Aro Ha. The food is superbly presented and Debbie's husband, a sworn carnivore, was able to make this dietary transition with ease. The hosts allow guests to choose their portion sizes at the start of their stay, ensuring no one is left unsatisfied. 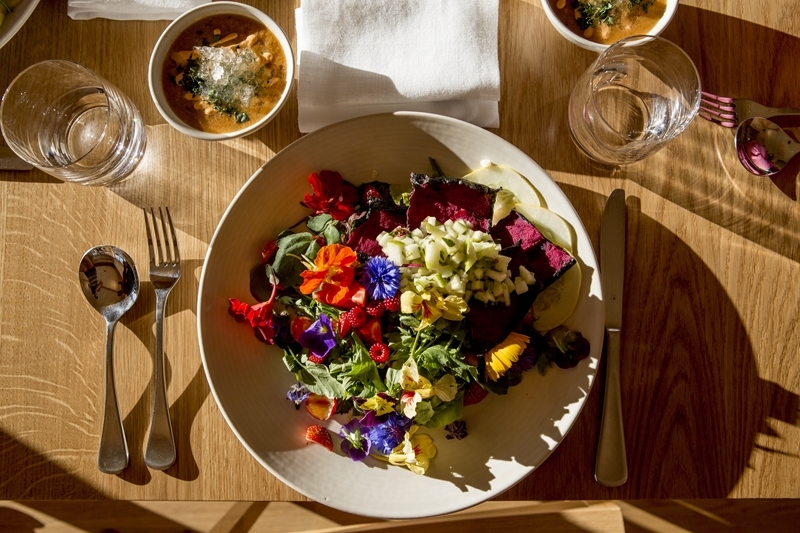 Aro Ha guests eat 140 different plant species over their five night stay. Afternoons at Aro Ha are varied, allowing guests to spend their time as they please between activities like kayaking, restorative massage, reading, or simply and blissfully doing nothing. Dinner and a final yoga session round up the day, before everyone retires to their room for a solid night's rest. Debbie describes her time at Aro Ha as "a holiday with benefits". Everyone attending was given the opportunity to get what they hoped to gain from the experience plus more and Debbie felt that each person went away with an unexpected new perspective or insight into some aspect of their life. To learn more about arranging a holiday of any length to the gold mine of Central Otago, reach out to Debbie or your trusted FBI Travel Advisor today on 1800 359 324.